Hacienda MMA Training Center offers exciting fitness classes. 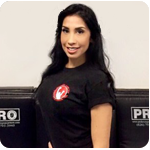 Our certified Fitness Instructor Melissa Santos leads our fitness program. Melissa can help you set your fitness goals…and achieve them! Fitness classes can accomadate all fitness levels. Come in and try a free fitness class.